The bustling main street of Shinjuku, Tokyo, c. 1930. 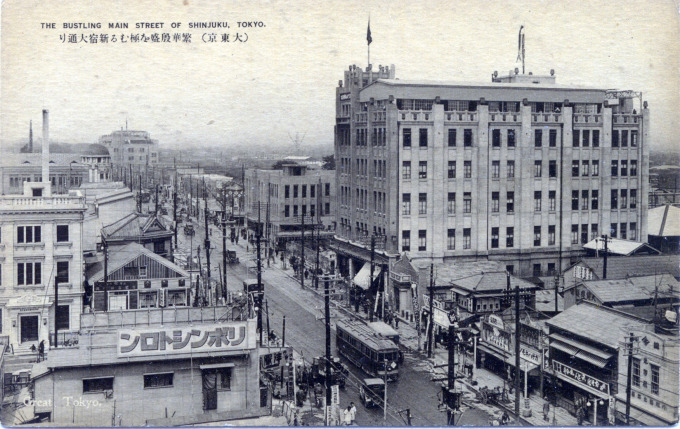 A diminutive Shinjuku Station, east entrance, c. 1930, is seen at center in the image. “[D]emographic shifts to the west and south in 1924 and 1925 initiated a new phase in the expansion of Tokyo’s transporation and marked a second growth spurt for its suburbs… [L]arge terminals were constructed to accommodate the increased vehicular and passenger traffic. The most important was Shinjuku Station. Located west of the political and financial center of the city, Shinjuku Station became Tokyo’s most-used terminal beginning in 1925. — Tokyo in Transit, Alisa Freedman, 2010. 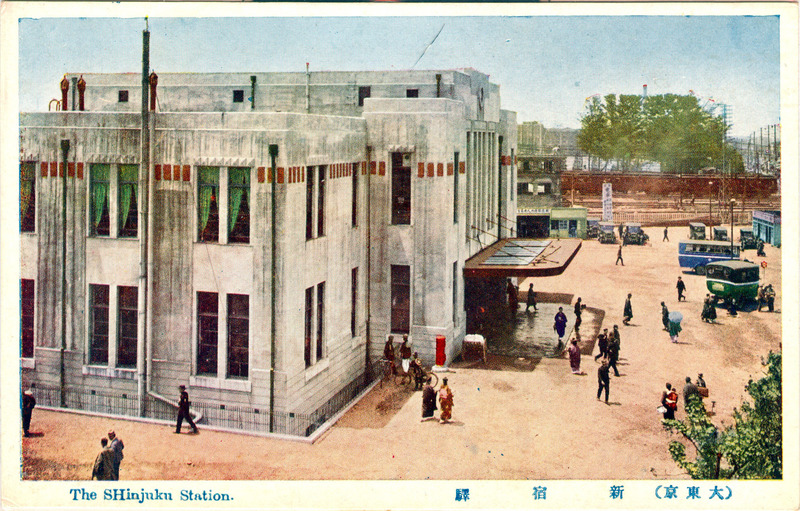 Shinjuku Station, east entrance, c. 1925, as construction of the new terminal is completed.